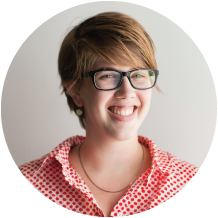 Allyson is a brand manager at MailChimp, an email marketing service that allows people to create, send and track email newsletters. She travels frequently to events and talks with people about how to use email marketing to support their businesses. Allyson nursed a life-long obsession for stationery during her time at Mohawk as project manager and editor of stationery and design blog Felt & Wire.